to roll out new update for Playstore, this update has to do with improved detection and filtering systems. Which means, any form of manipulation any developer engage in, can now be detected instantly. Below comes the official statement from Google on the issue with playsyore. "From time to time, we observe instances of developers attempting to manipulate the placement of their apps through illegitimate means like fraudulent installs, fake reviews, and incentivized ratings," the company says in a blog post. "These attempts not only violate the Google Play Developer Policy, but also harm our community of developers by hindering their chances of being discovered or recommended through our systems." Download The Latest Google Allo 2.0 Version Which Supports Direct Replies, Split-Screen And Many More Features. 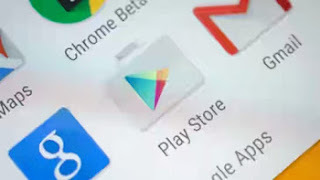 Google warned, that any developer caught doing this repeatedly could also have their apps taken down from playstore store. source.